Dinkey Creek really ain’t all that small is it? 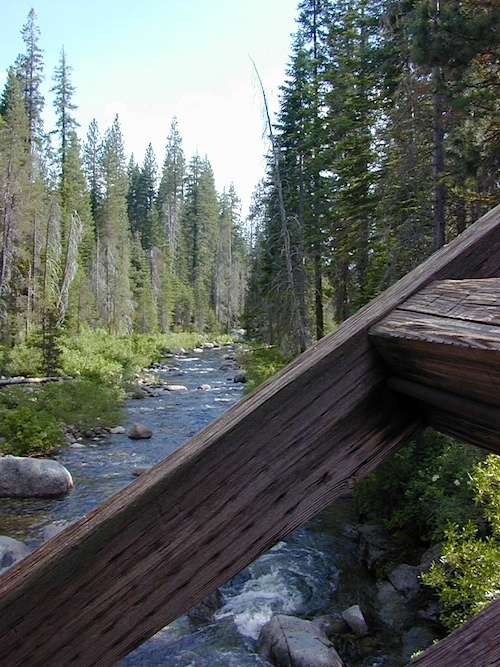 Dinkey is a major feeder creek originating with high altitude lakes in the Wilderness above, flowing down to the Kings River. 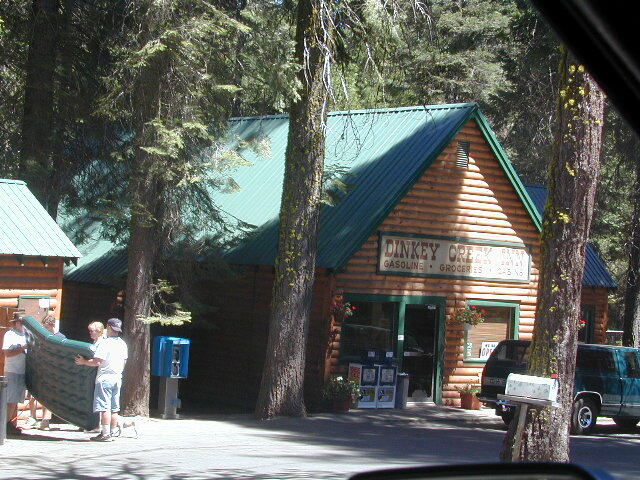 Dinkey Creek has a seasonal large campground and a general store that is open during the summer months. 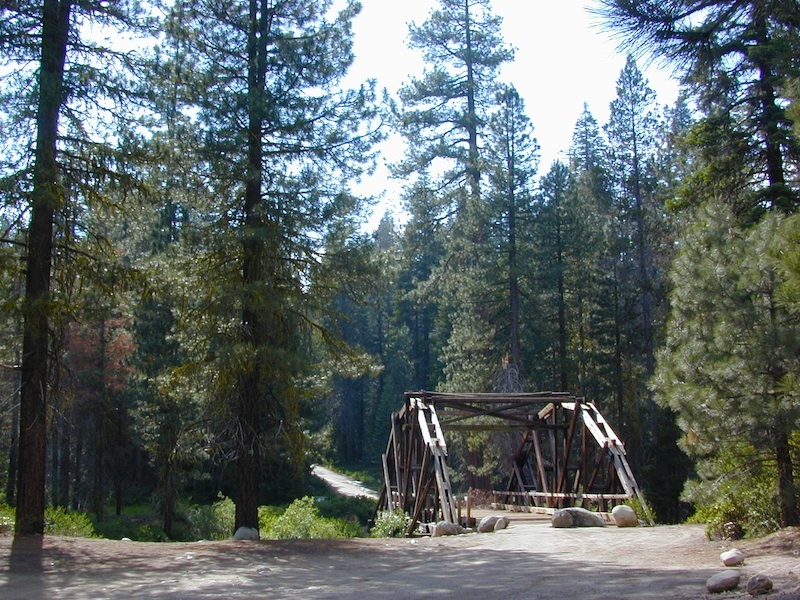 Campground Reservation are common since this is a well-known destination of the Western Sierra. 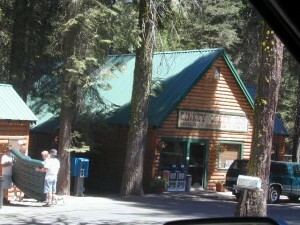 Located deep in the Sierra National Forest, 15 miles south of Hwy 168 @ Shaver Lake, via a very long, winding, paved road. Not suitable for large motorhomes. 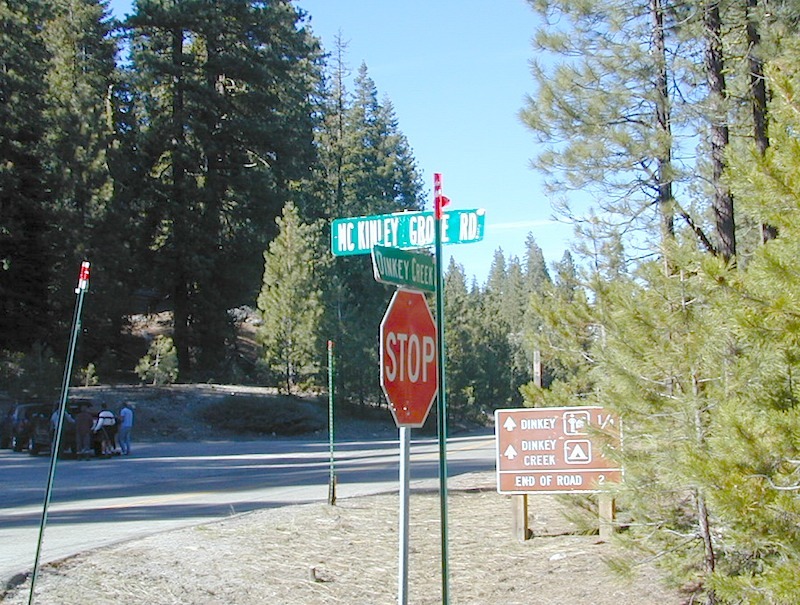 Dinkey Creek Road becomes McKinley Grove Road @ intersection of historic, wooden Dinkey Creek Bridge. 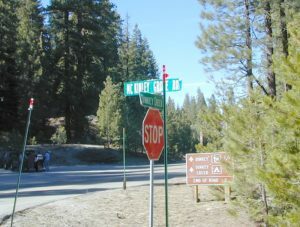 McKinley Grove Rd leads further south, past Sequoia trees, numerous other NFS campgrounds and on to the 2 big reservoir lakes. The Dinkey Road is usually only open during warmer months (MAY-OCT), snow permitting. 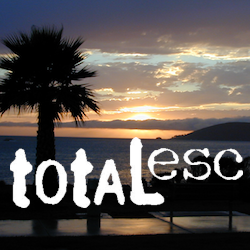 A very popular place for summer vacations, fishing, hiking and picnicking. The day use area near the historic wooden bridge has numerous dirt parking lots, trails, picnic tables and pit toilets. Excellent place for exploring on foot with the family, or creek fishing from the boulders. 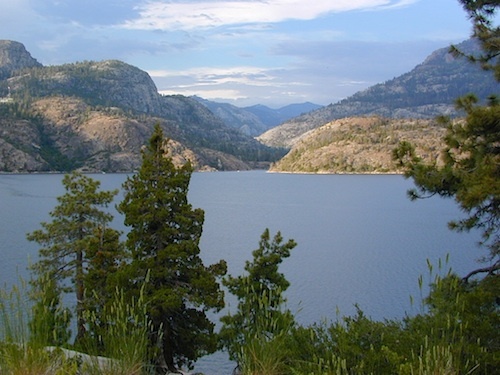 Back roads are abundant around Dinkey, leading higher up to large, granite reservoirs (with more camping options) and numerous forest dirt roads zig-zag across the mountain terrain wherever possible. Dusy Ershim Trail is a famous Sierra 4×4 route that connects Courtright Lake to the Kaiser Pass. Granite everywhere, slow-go rock crawling, skirting in between two Wilderness Areas. Sierra Forest Road #11S12, is a dirt road that leads downhill, past the North Fork of Kings River, from high elevations near Dinkey to the Black Rock Reservoir and meeting up with Kings River near Pine Flat. An excellent loop trip for those wanting to experience dispersed camping on the back roads, but a high-clearance vehicle is required. This road is gated and closed for winter, so call ahead to the rangers, to see if it is open before you make the journey. This whole Western Sierra is home to major hydroelectric dams that create a water supply for farms and cities located in the Central Valley below.